Texas Gov. 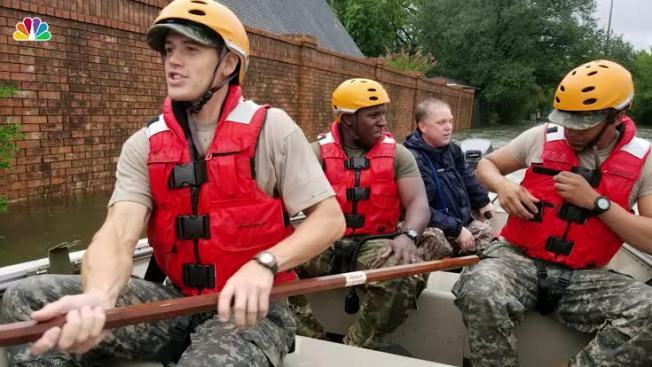 Greg Abbott mobilized 3,000 members of the National Guard and Texas National Guard Sunday due to the unprecedented and catastrophic flooding brought on by Hurricane/TS Harvey. Abbott made the announcement during a news conference Sunday afternoon. He said the guard members will be stationed from Houston to Victoria to Corpus Christi and all areas in between along the Texas Gulf Coast. Along with the guard, Abbott said 500 vehicles, six shelters and 14 aircraft have been put into service. Abbott reported there were about 316,000 people without electricity service, but said those numbers did not include Houston. CenterPoint Energy, the primary power provider in southeast Texas, told NBC 5 that as of 2 p.m. CT there were about 80,000 people without service in the Houston area. Meanwhile, the Texas Department of Transportation has mobilized 400 people who working on rescue and recovery missions in flooded areas. 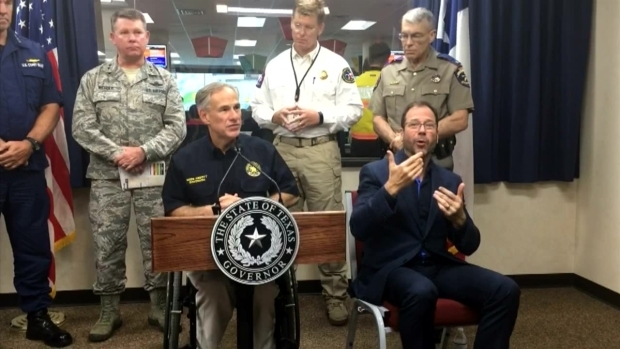 Abbott also announced he's added 12 counties to the Presidential Disaster Declaration list granted last week, bringing the total number of Texas counties on that disaster list to 18. Also, 50 counties have already been declared state disaster zones, 30 earlier in the week and 20 on Saturday. 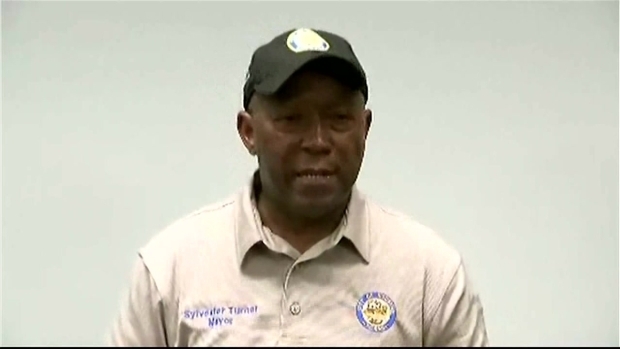 "Many parts of Eastern Texas, especially in and around Houston, are experiencing historic flooding causing the need to grow for additional resources that will allow us to answer the call for help from our fellow Texans. 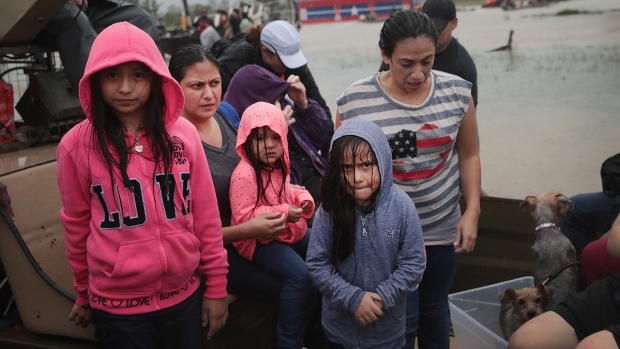 I thank those at FEMA for their attention to the severity of the situation in Texas and the people of this great state for coming together in this time of need," Abbott said. Neither of those figures count flooding losses covered by FEMA's National Flood Insurance Program. The flood program -- which received major bailouts in 2005 and 2012 and is due to expire next month -- has more than $60 billion in policies in force just in Harris County, which includes Houston. "Clearly this could likely be one of the largest NFIP flood payout(s) in recorded history which will require a major relief bill," BMS said.